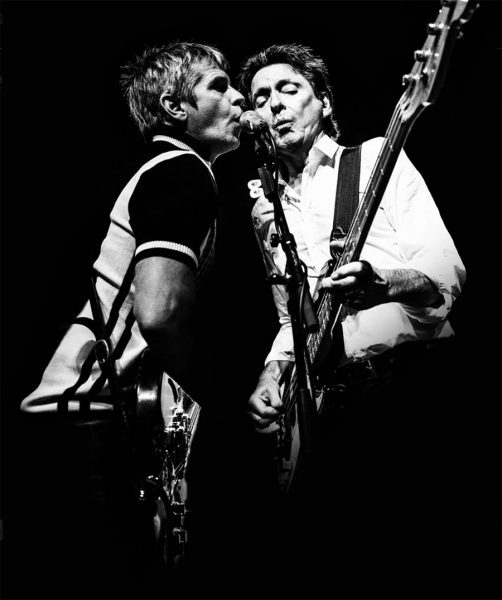 From the Jam are about to embark on a new tour to celebrate the 40th Anniversary of The Jam’s third studio album, ‘All Mod Cons’, playing it in its entirety. As well as classics such as ‘Down In The Tube Station At Midnight’ and ‘A Bomb In Wardour Street’. Ahead of the tour, we caught up with band member, Russell Hastings on his musical journey. How did your journey with music begin? From a very young age! I was four when I got my mum to buy my first single for me in 1969. It varies really, but at the moment ‘Strange Town’ is really exciting for some reason as we have played it thousands of times! Just seems to be cooking at the moment. I’ve been playing since I was 12 and Bruce was around a similar age when he picked up the guitar. What is your favourite concert you have performed and why? I don’t have a favourite gig – but a collection of favourite gigs so far are …. Sydney, Australia, Newcastle Academy, The Clapham, Grand London and The Cavern in Liverpool all spring to mind. Keep on believing in yourself and be nice to the bands that are letting you on the bill as support. The band start their tour this month!